WWW, August 2010 - Eleven musicians who formerly played in other bands, some of them well known in their own might, gathered themselves to create Roots Rock Reggae in the orthodox, Jamaican tradition made popular so many decades ago: analogue recording and mixing with on top conscious lyrics. 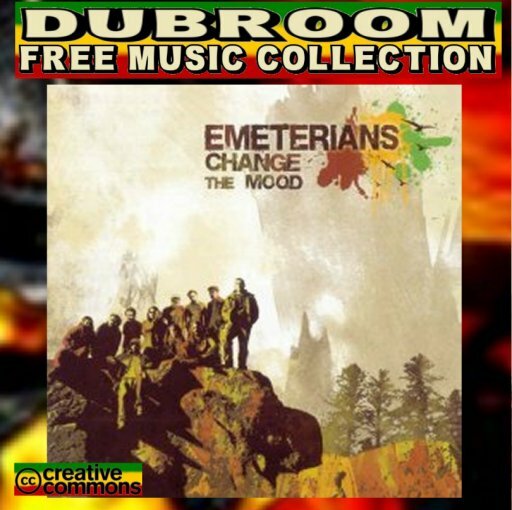 Presenting the Emeterians: Roots and Culture DUB and vocals in the orthodox way! When you include the introduction tune, "Change the Mood" contains 12 titles, wherein the whole traditional line-up is present, from the riddim section to the horns and from the backing vocals to lead voice. It's clear, though, and not just by reading the liner notes, that the band does include a Dub engineer as a member, a thing which did not used to be so when Reggae Bands predominantly were studio bands. It's just a thing which makes it clear that this is not a recording for what some preterists would call "golden age of Reggae", a term which is rejected as a whole here in the Dubroom. Not in an annoying way, though, but it's there too: another contemporary thing, it's a thing called "rap". No, it's not all over, there's just a little bit here and there, which is fine just as long as it's not too long which is not the case with the Emeterians. A thing which is there on the album too: skillful DUB mixing, in a way that is not just popular inna Europe and the UK but a more traditional manner which does show very clearly how right Pablo Moses was when he sang his famous "To Enjoy Reggae Music, Dubbing is A Must". The sound is clear, even though not as clear as when everything would be done digitally. It's the charm of the analogue sound, well apreciloved, well accepted, very much respected! "Change the Mood" is truly already a classic for the online (DUB) Reggae massive, even though the album was released this year. Get it, Play it, Experience it! 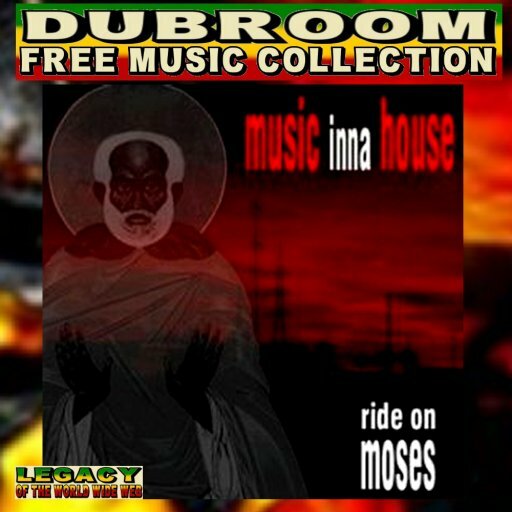 WWW, August 2010 - Four Vocal Tracks, Four DUB Tracks: here is the 2006 production :Ride On Moses", wherein the Italian DUB Collective "Music Inna House" explores the deeper realms of DUB ROOTS and CULTURE. No problem, after all: it's their own culture in which they find themselves. Jah Culture, with blessed vibes from creation. With three different vocalists and more than one DUB engineer, "Ride on Moses" is truly the best online thus far by the Italian based DUB collective. Strong music, strong lyrics and overall a very, very fine style of mixing, programming and playing. Nuff niceness, that should not be ignored by the lover of the better EURODUB and ROOTS. WWW, August 2010 - In this 2002 release, mixed in Moa Anbessa's Dub Studio in Venice (Italy), we're being treated with four more crucial ones by the Music inna House DUB collective. In the opening track, we hear a discomix in which the singer laments her observation that the "Doctor Jesus" claimed by so many of today's churches and circles doesn't seem to be around no more. And that's just one of the four titles: God is One is another too short collection of Roots and Culture in the best possible quality. 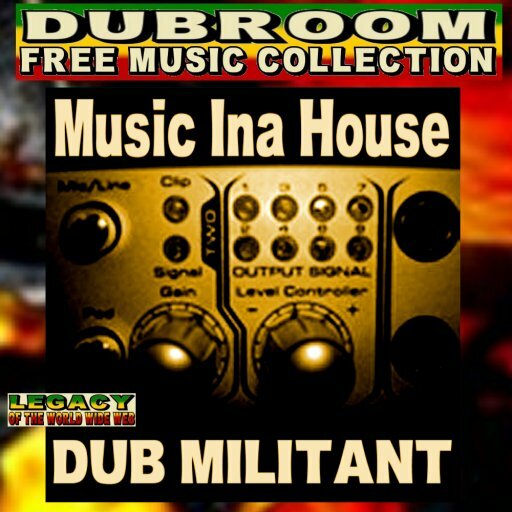 WWW, August 2010 - With four titles from the 2001 début EP "Dub Militant", we're getting some more evidence of the fact that the strong EURODUB and ROOTS Movement didn't start yesterday. 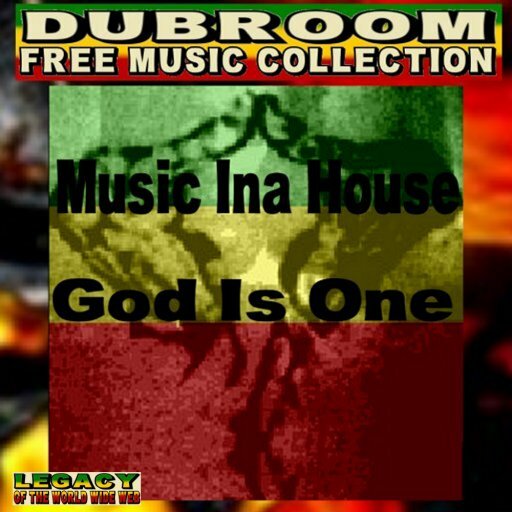 "Music Ina House", a Venice-based DUB Collective coming with Truth and Right in true Roots and Culture style. The excellent opening tune comes in Discomix: "In the Beginning Was The Word and He Is Still King of Kings", taken from the first verses on John 1 from the Bible. That's not all: three more, impressive mixes are to follow. Two crucial Dub with some Jungle vibrations, and stepping Roots track in Discomix style. By the way: the EP was mixed in Moa Anbessa's studio. WWW, August 2010 - Memories for one, essential Reggae Dancehall history for the other: it doesn't matter who you are, when you love Reggae the two gems offered by the UK based magazine "From the Wire" should be considered two very nice surprises. 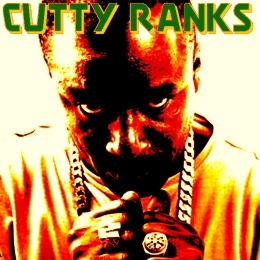 From the 1980's, when Rub a Dub turned into Ragga into Dancehall into what it has become today: two classics by the man Cutty Ranks. The unmistakable early digital sounds from 1980's Jamaican Music shows just how far contemporary Dancehall has strayed from the iriginal concept of Reggae Music: to mention the fact that the sounds in this two crucial tunes was back in the days described as totally non-Reggae where the Roots is clearly recognizable today in 2010. WWW, August 2010 - It happens more than often: Reggae Music cultural events are a favorite target of Babylon. The important European Rototom Sunsplash festival even had to relocate from Italy to Spain because of the sufferation. The Sardinian "Train To Roots" band released their first single of the year, offered it as a free download, all to support the festival. A cool Roots tune is not a crime, at least not for those of us that know to apprecilove some good Reggae Music. Train To Roots is not a crime either, in fact it's a crucial Band from Sardinia (Italy). It's proven right here in their first single of the year 2010, a support track for the Rototom Sunsplash Festival. Download and play, especially when you see Sylvio Berlusconi or one of his friends. WWW, August 2010 - With a splashing spring reverb, a militant steppers drum with fitting bassline, this French DUB producer and member of the DUB Addict Sound System delivered a massive piece of work with his third round of "Speaking Toys". To those that don't know all the tech-know about Dub Studio works: "Bypass" is a mode on an effect device which basically disables that particular effect. Yes, sometimes that is necessary although it seems to be a little bit different in Anti-Bypass' studio. "Speaking Toys Round Three" makes it clear in a way all Dub Lovers with or without tech-know feel. WWW, August 2010 - Freshly from their studio in Bologna, with some very heavy bass and pumping steppers drum perfectly mixed by Nicolo Tucci along with the conscious and skillful vocals by Sabrina Ferro: A Crucial Discomix you can't refuse! There's a lot to mention about "Rude Buy", and the first is that this is a very impressing track. Given the fact that it's previously unreleased, this one is very promising and definitely creates a hunger for more to come in this crucial style. WWW, August 2010 - With 500 hard copies pressed, this free and legal online release by the crucial FRENCH DUB RELEASED NET LABEL even has some bonus tracks attached. Yes, here is another compilation of Dub tracks in several Dub styles, all of them more than recommended and beyond! 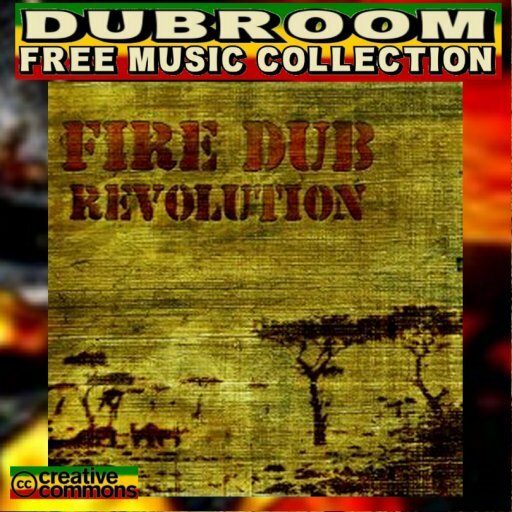 "Fire Dub Revolution" is definitely one of the most interesting releases by the FDR, which says something given the constant quality of the music the Net Label has blessed the Online Dub Reggae Community with already. It took the label one year more than they expected, but it definitely paid off musically. Hopefully, it will also pay off financially for the label even though French Dub Released has a non-profit nature: They did press 500 hard copies of the album which -at the time this is written- is about to be available for purchase. Let's take a look at some names of the album: Webcam Hi-Fi and I-Plant, Together Brother Sounds, Jacin: The Fire Dub Revolution is massive. The album is very well compiled and sequenced, with all kinds of different styles following each other. Every track is Roots Reggae Dub, whether it's played by musicians or programmed by a producer. Vocals dropping crucial messages, consciousness galore which is another necessary ingredient for a True Roots compilation.